Nearly 200 people, enduring steady rain, demonstrated outside the office of Philadelphia District Attorney Larry Krasner on Jan. 5. 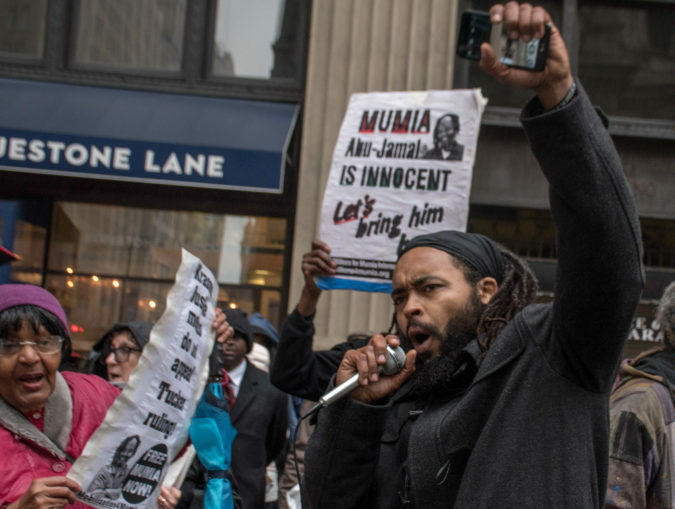 It was the second protest there in just over a week after Common Pleas Court Judge Leon Tucker issued a ruling that gives political prisoner and journalist Mumia Abu-Jamal the chance to overturn his unjust 1982 conviction. The event, billed as a “People’s Constitutional Protest Party for Mumia’s Freedom,” was sponsored by the Mobilization4Mumia and endorsed by the International Concerned Family and Friends of Mumia Abu-Jamal, International Action Center, Free Mumia Abu-Jamal (NYC), Campaign to Bring Mumia Home, Educators for Mumia, MOVE, Food Not Bombs Solidarity, Workers World/Mundo Obrero, Labor Action Committee to Free Mumia and others. People attended from New York City, Baltimore, Philadelphia, Delaware and New Jersey. Judge Tucker’s historic Dec. 27 ruling granted Abu-Jamal new rights to appeal convictions and rejected appeals between 1995 and 2012 and gave him 30 days to file his appeals. Krasner also has 30 days to appeal Tucker’s ruling. Speakers at the rally called on Krasner to cease defending former Philadelphia DA and then Pennsylvania Supreme Court Judge Ron Castille’s now discredited claim of impartiality. Tucker, whose decision chastised Castille for his obvious bias and lack of impartiality, ruled that allowing Abu-Jamal to go forward with re-arguing his appeals “would best serve the appearance of justice.” The groundbreaking decision could impact many other prisoners whose appeals were denied by biased and pro-cop judges. A march following the rally stopped at busy intersections, blocking traffic with brief speakouts, before ending at the William Way LGBT Community Center for an indoor speakout and organizing meeting. 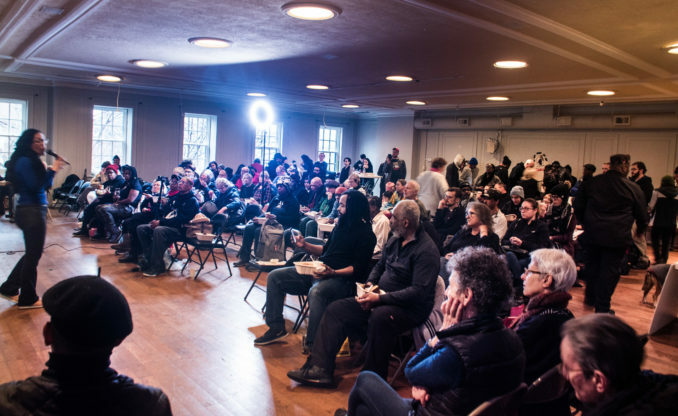 Attendees included a broad spectrum of activists, from many who knew Mumia and have fought for his freedom for decades, to newer and younger people, many of whom were born after Mumia was imprisoned. Longtime activists Pam Africa and Ralph Poynter kicked off the indoor event. 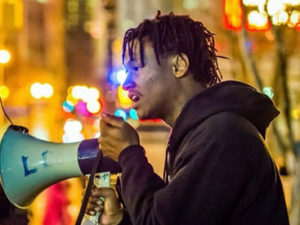 James Chisolm Jr. recounted being a high-school organizer with Mumia at Benjamin Franklin High School, fighting racism within the school system in the 1970s. Wayne Alexander Cook, Mumia’s nephew, marched and later spoke about the ways his Uncle Mumia and other family members helped guide him to become more politically aware. 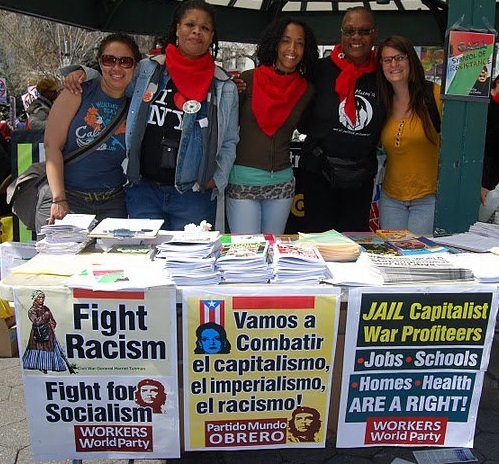 The rally was chaired by Johanna Fernández from the Campaign to Bring Mumia Home. Megan Malachi, with Philadelphia REAL Justice, described Mumia’s struggle as a key part of the ongoing fight against racism and police brutality. REAL Justice has led a two-year campaign to take down a statue of former Philadelphia Mayor Frank Rizzo from a prominent location near City Hall. Malachi noted that the removal of this tribute to one of Philadelphia’s most notoriously racist politicians would not be just a symbolic victory. 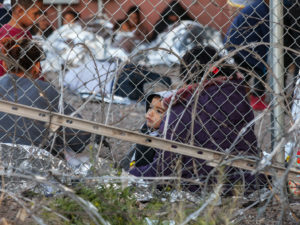 Palestinian activist Susan Abulhawa brought messages of solidarity from Palestinians struggling against state repression and some of the highest rates of incarceration globally. She recounted attempts by Israeli supporters to label Black activists like Marc Lamont Hill, and more recently Alice Walker, as “anti-Semitic” because of their support for Palestine, while she and other Palestinian activists have been attacked for supporting Mumia. Monica Moorehead, a leader of Millions for Mumia of IAC, urged younger activists to learn the lessons of the struggle to free Mumia and to make it their own. The group brought more than 25,000 people to Philadelphia in support of Abu-Jamal in the late 1990s. The final hour of the indoor event was devoted to addressing necessary organizational tasks as the movement to free Mumia shifts into higher gear. Media work, social media networking, education, community and labor outreach, and fundraising are needed. Plans for a rally in Philadelphia on April 20 were also discussed. There was clearly a buzz of excitement in the hall as nearly everyone participated in an organizational breakout group. As DA Krasner is clearly under pressure from the Fraternal Order of Police to oppose Tucker’s decision and block efforts to free Mumia, Abu-Jamal supporters have bombarded his office with daily phone calls and emails, plus a Twitter storm on Jan. 4, the day before the rally. 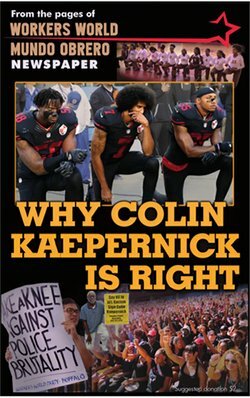 Letters to Krasner in support of Abu-Jamal have come from labor unions, including the International Longshore and Warehouse Union in San Francisco; the Oakland Education Association; Philadelphia IWW; Doro-Chiba, the Japanese rail workers’ union; and the 100,000-member International Dockworkers Council based in Spain. A petition to Krasner to “do the right thing” continues to gather signatures. More than 500 signed petitions were delivered to Krasner on Jan. 2. Since then, RootsAction has picked up on the petition initiated by Mobilization4Mumia via Actionnetwork.org. Collectively, over 4,000 more people have signed the online challenge; these names will be delivered to Krasner this week. To sign the petition, visit tinyurl.com/mumiapetition.